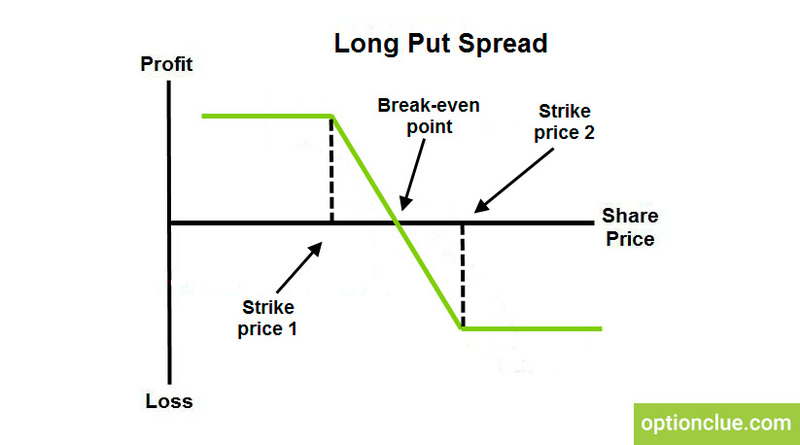 Long put spread is the option strategy with limited risk and profit, which lies in the simultaneous selling and buying put options on one asset with different strikes and the same expiration. Long put spread is usually used when an investor is bearish on the market but expects the price to bounce off the certain price level in the downward movement. For this purpose, he buys the put to benefit from the downward movement and sells another put option to reduce risks and total cost of the position. The premium will be less than in ordinary long put option. Suppose, we open the long put spread by buying put option for $5 and selling another put option for $2. Strike prices of these contracts are $100 and $90 respectively. The net premium paid is ($5 – $2) * 100 = $300. The break-even point is $97 ($100 – $3). We’ll make profit if the stock is below the price mark of $97 when expiring. 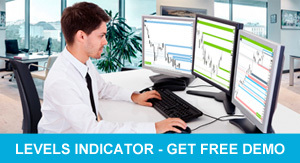 The maximum profit occurs when the price is below $90 at expiration. We’ll lose money if the price goes above $97. At the same time, the maximum loss is limited to the net premium paid, that is $300 ($3 *100). It may appear if the stock price exceeds $90.